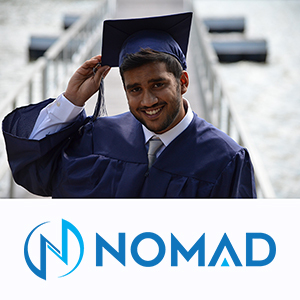 As an international student, you will find yourself facing different sights, sounds, and social situations than what you are used to. The same goes for inside the classroom, where the presentation of the course material and the expectations that instructors have may be confusing or unclear. 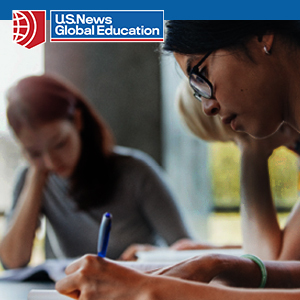 The most common challenges that international students face include low confidence in a foreign language, uncertainty about what to expect in an American classroom, and difficulty understanding instructors. Identifying what hinders you is often the first step in alleviating the problem. It’s important to prepare before your classes by completing any assigned readings. Why? You’ll be able to follow the lecture better. Take notes on your readings and then use class sessions to fill the gaps in your notes. Presentation slides, if applicable, may be available to you before or after each class—and they can help you further strengthen your notes. Determine if it is easier for you to write notes in your native language or in English. In addition, use abbreviations (whether standard abbreviations or ones you create) to help you take notes quickly and efficiently. You can date your notes, list the topic(s) on the top left-hand side, and number the pages to help you stay organized. Focus on writing neatly and leaving enough white space between sections to make reading your notes easier. You might even wish to use highlighters of different colors, asterisks, underlining, and indentation to emphasize key concepts. If they are permitted by your instructor, you may want to use note-taking software or apps to easily organize your notes and take pictures of diagrams and explanations on the whiteboard or screen. Write down or highlight any information you don’t understand, so that you can return to the reading or ask the lecturer about it later. You can also compare notes with a classmate to resolve any misunderstandings. Finally, you can seek out online or on-campus academic resources for further assistance, like your school’s writing center or a local library. Taking great notes is a skill that can be developed, no matter your home country. With these tips in mind, you will be on your way to academic success. Niki Bridges is a contributing writer for UniversityTutor.com, the world's largest global marketplace for finding independent tutors.